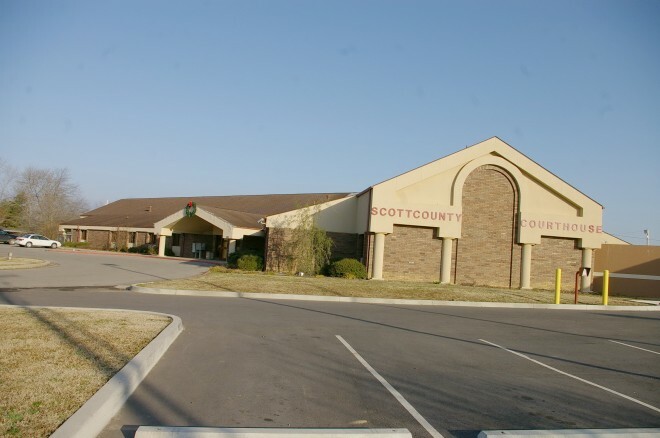 Scott County is named for Andrews Scott, who was a territorial judge. 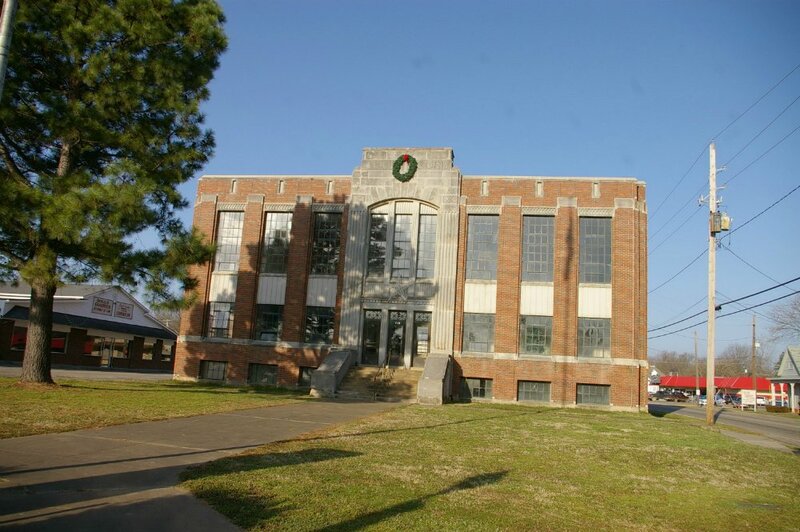 Description: The building faces south and is a one story buff colored brick and concrete structure. The building is constructed in the form of a “Y” with a west wing and a north wing. The south entrance has a large canopy extending from the building and supported by two pillars. The southeast corner of the building rises to a pitched roof with columns rising to form an arch in the centre. The roof is sloped. Description: The building faces faces east and is a two story red colored brick and stone structure. The esst front has a large stone section rising above the roof line. There is stone trim along the windows. The roof line is flat. The building is a Works Project Administration project.